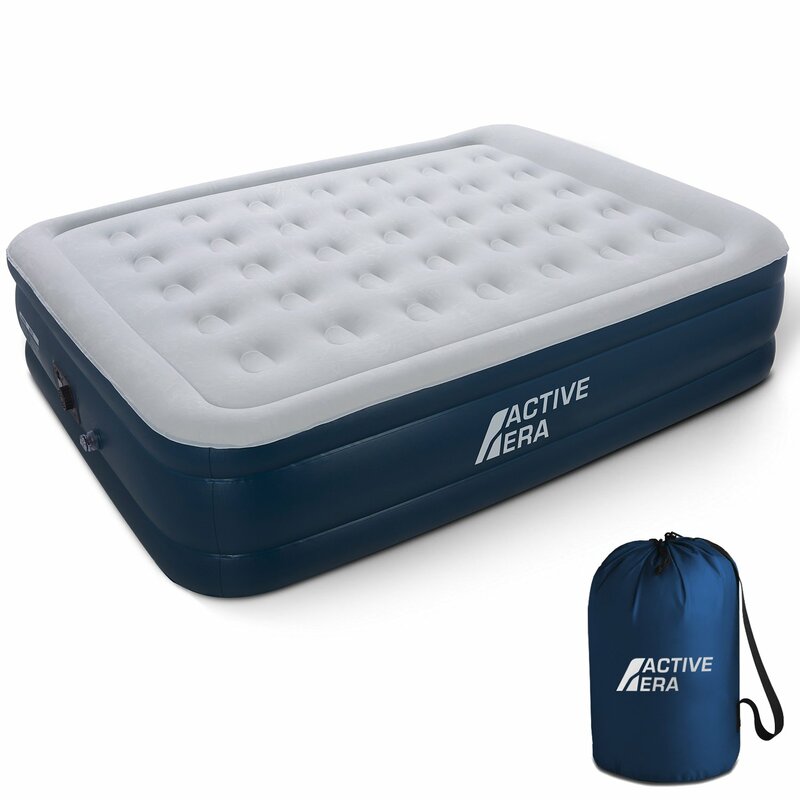 Best Air Mattress for Camping in 2019 [Reviews]: Are you planning for a long weekend camping? Then you may be thinking of carrying a sleeping bag with you. However, you must know that several times sleeping bag doesn’t provide you the comfort and sleep you need. Hence a better option is available, which is an Air Mattress. Air beds and mattresses are now available at a reasonable price and are best suited for camping. Air Mattresses are mainly blow up beds which provide a great solution to a better night’s sleep when you are staying in outdoors. Earlier, a majority of people feel uncomfortable and don’t able to come out from a restless sleep cycle. Previously, Air mattresses were well-known for being bouncy, difficult to inflate or simple to puncture. Modern generation camping mattresses are available for camping enthusiasts, providing a variety of handy features like self-inflation, puncture resistance, and also memory foam layers for extra comfort. As you are planning to buy an Air Mattress, you should consider some important features. The first thing to consider is dimensions by which you will be able to whether it fits in your tent or not. Generally, you would require space in order to keep your luggage and other camping tools. In case you are going to eat inside the tent, then you will also require food preparation area. Secondly, when looking to buy an air mattress, you should first know who is going to use the mattress. By this, you will get an idea about selecting a mattress with appropriate weight and size. Thirdly, the method of inflation plays a very important role. Usually, campers don’t have enough energy after a long day of camping for manually filling up the mattress. Also, some people will be happy to manually inflate the mattress, so that they have one less equipment to carry with them. The most amazing thing about them is, they can be used for multi-purposes. If you have guests at home, you can provide air mattress to them. It’s a wonderful option for traveling as it can be simply deflated and rolled up. Several airbeds provide a wonderful option as a main bed and also provide platform legs put your legs away from the ground. 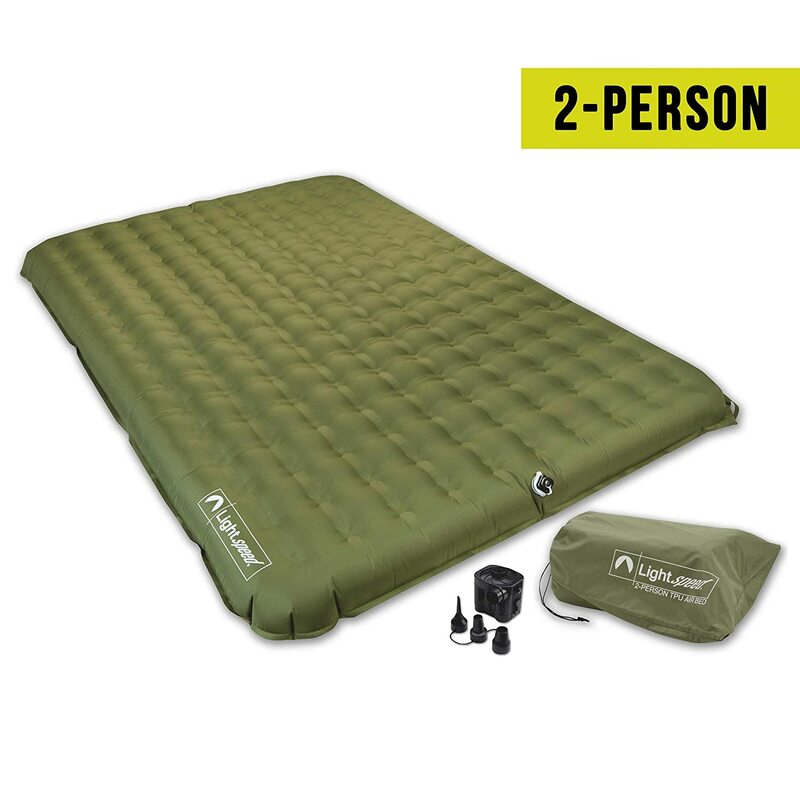 Lightspeed Outdoors 2 Person Air Mattress is a great mattress particularly designed for two people. It consists of a battery operated pump designed especially for campers. It allows adjusting firmness due to its two-way Boston valve and patented stabilizer system. It consists of 192 independent stabilizers between the top and the bottom layers. This enables you to sleep comfortably after hiking for a long day. It is lightweight, highly durable and comes with a big storage bag in which you can keep important things. 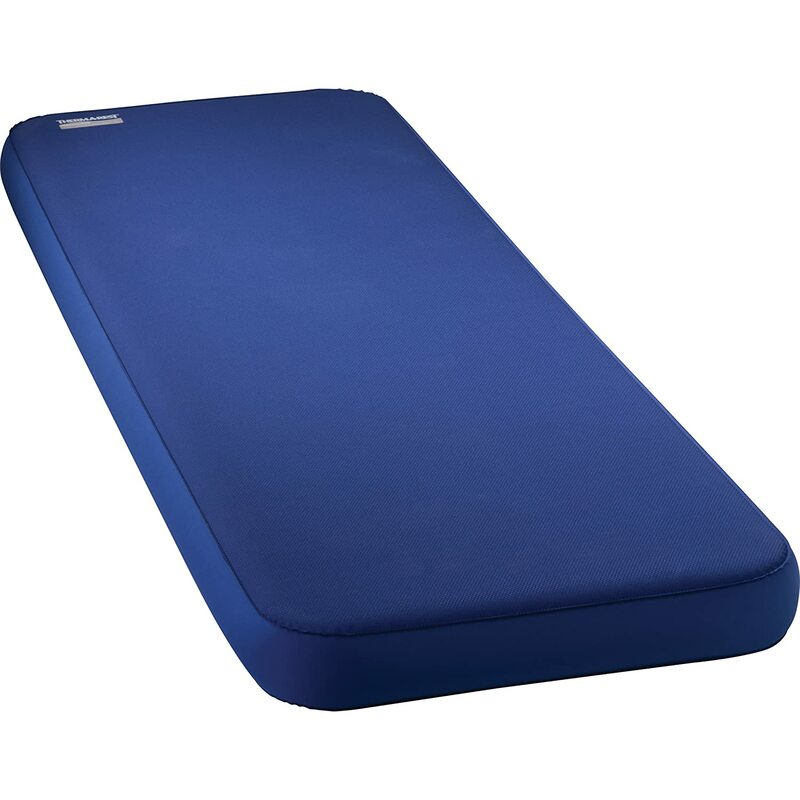 It is built from TPU (thermoplastic polyurethane) material which decreases stretching and ballooning that is the main issue in PVC type mattresses. Boston valve provides fast deflation and portable pump takes 4D batteries so that you can pump it easily in a tent. Soundsleed Dream Series has been popular for a long time. This series of mattresses are recommended for all the kinds of sleepers, as it provides a simple and effective way to fill the mattress and 40 air coils for best support and comfort. It consists of 40 air coils so that anyone can get a better night sleep. It consists of a one-click internal pump using which you can fill or deflate the mattress without much effort. Various times, it’s quite cumbersome when your mattress slides down when you try to sleep. However, due to its sure-grip coating on the bottom, it prevents the mattress from sliding. One of the most essential reasons why people buy a mattress is how much time it requires to fully inflate and deflate. This mattress can be inflated and deflated within 4 minutes. 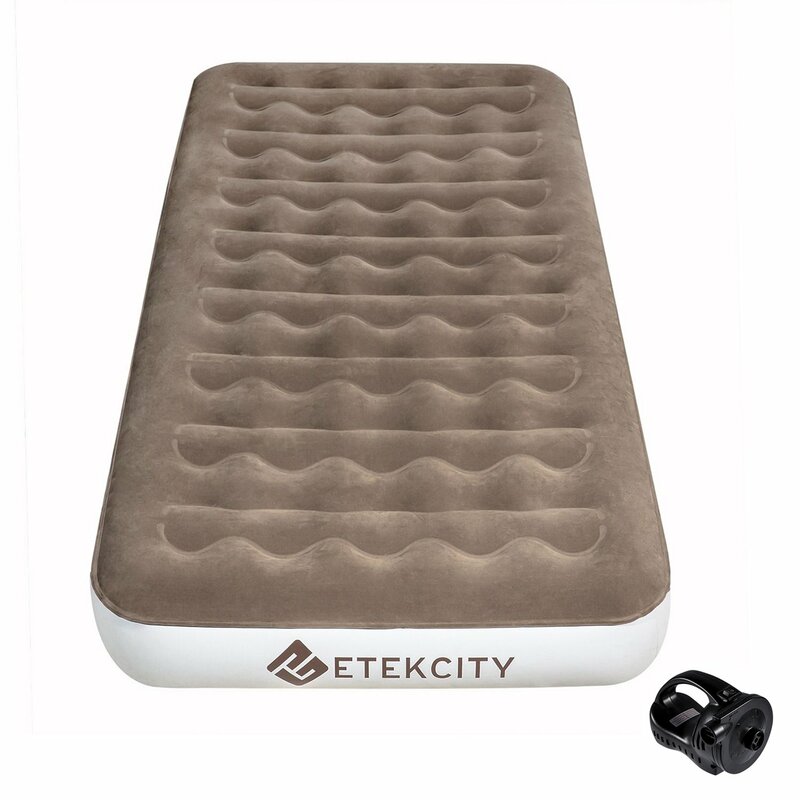 Etekcity is one of the best air mattresses for camping available in the market. As it is built from non-toxic material it keeps you isolated from the wet and the cold ground surface along with providing you with better sleep. The PVC consists of 0.04mm extra layer on top and extra thick along with a flocking top of 0.2mm which offers great stability just like a real bed. Due to its superior welding seam, there is no issue of leakage and hence it’s completely airtight making it best for outdoor usage. The mattress consists of an air pump and various nozzles in order to make inflation process simple and fast. But remember, the pump requires to get charge for a minimum of 5 hours before its use. The pump is cordless hence make sure that you don’t mix it up with tangles of cords while it’s outside. The pump can be charged easily with the help of a car or using a wall charger. The mattress is lightweight, hence it can be easily carried in a car or can be folded so it occupies very less space at your house. It is best suited for both, indoor and outsider purposes. Moreover, the mattress is raised high enough from the ground, hence offering good insulation from the ground and wet surfaces. This mattress from Activa Era consists of a wide number of amazing features due to which it is best suited for camping enthusiasts. It falls under list of Top 5 Best Air Mattress for Camping. The queen size model consists of an elevated edge along the perimeter of the mattress, which offers the dual function of support to stop anyone from falling from the bed and also act as a built-in pillow for extra comfort and back support. This feature will be especially useful to families camping with younger children who might get advantage from the safety barrier of the raised edge. 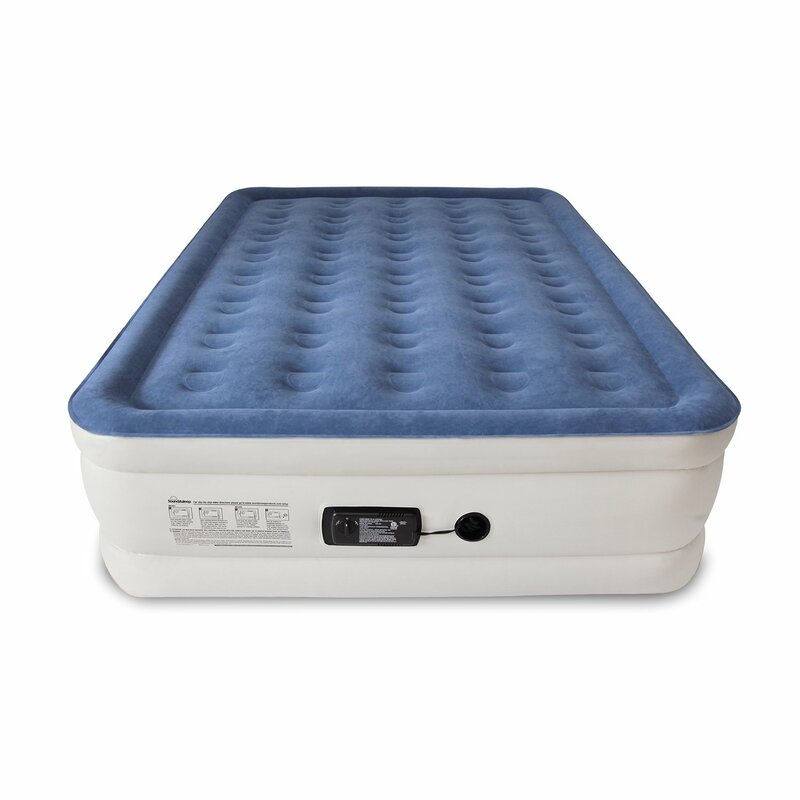 The air mattress consists of an advanced air coil structure, including 35 air coils present in the internal structure of the mattress, enabling great support for a comfortable sleep. The firm structure reduces stress at neck and joints, thus providing a peaceful sleep at night. Thus, you will be fully ready in the morning for camping activities. It consists of an inbuilt electric pump which allows the mattress to be inflated with ease within three minutes. Please note, the electric pump will need electricity, hence this feature will only be useful to campers who have a generator or car adaptor. However, it consists of a manual valve and can be inflated using a manual pump, this will require a lot of effort and time. Mattress can be deflated easily because of automatic deflate function. 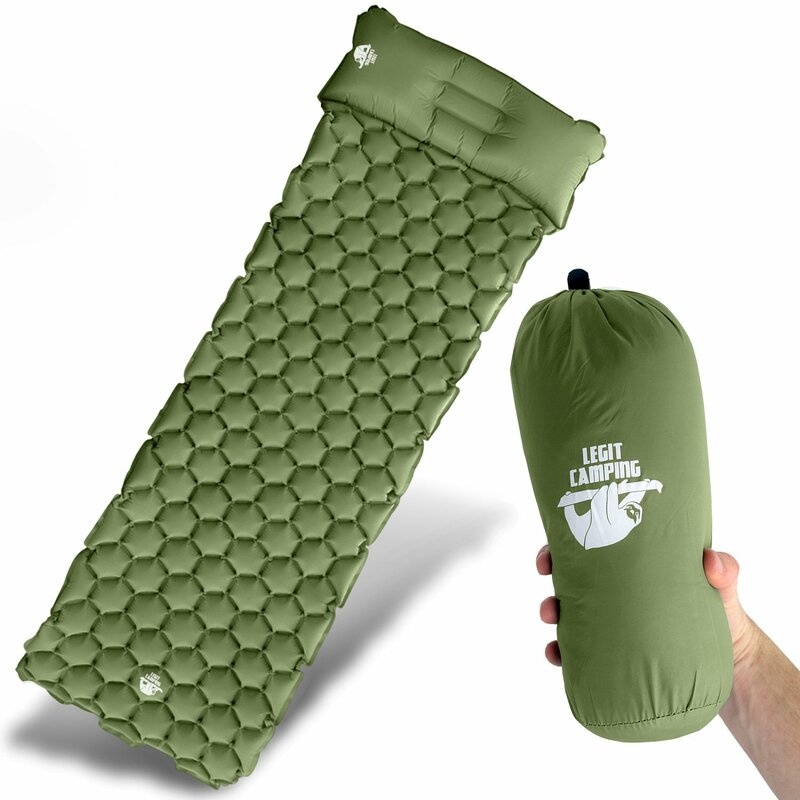 Talking about the best air mattress for camping, how can we forget Therm-A-Rest Mondoking 3D Self-Inflating mattress. The outer surface of the mattress is built from 75D polyester and urethane foam is filled in the core inside to make sure that the mattress to that level so that it can fit into any car for easy transportation. The size of the product is 80x30x4 inches and weight is around six pounds. The mattress is available in two different sizes, buy anyone which suits your need. One of the amazing features of this mattress is that vertical sidewalls enable two friends to mate perfectly. Hence two friends can combine two pads and form an extra large space for sleeping. The mattress looks premium and provides complete comfort just like a home mattress. It is self-inflating and hence no additional pumps are needed for inflating the mattress. It is light in weight, hence you can easily carry during hiking and camping activities. Due to its thickness, it has good insulation and maintains body temperature for a long period of time. It can be folded as small as 7×31 inches, hence it doesn’t occupy much space in your car. Also, it consists of 20% more sleep surface, hence you can sleep without any need to adjust the dimensions of the mattress. Coleman is well known for building air mattress for camping for a long time. If you are looking for a good mattress along with a tight budget, then go for it. The Airtight system makes sure that you are getting a premium comfort and has extra cushioning. It offers a plush surface which is great for comfort. You might think that it is meant to be solid and durable, however, it doesn’t compromise on comfort too. The size of the mattress is 75x39x18 inches and it can withstand weight upto 300 pounds. The product is available in two different sizes, queen and twin. The mattress is constructed using PVC as it was required to be durable and lightweight. Its ComfortStrong coil system offers better support for all-night comfort. It offers Double-high height, hence it is easy to get in and out of mattress easily. 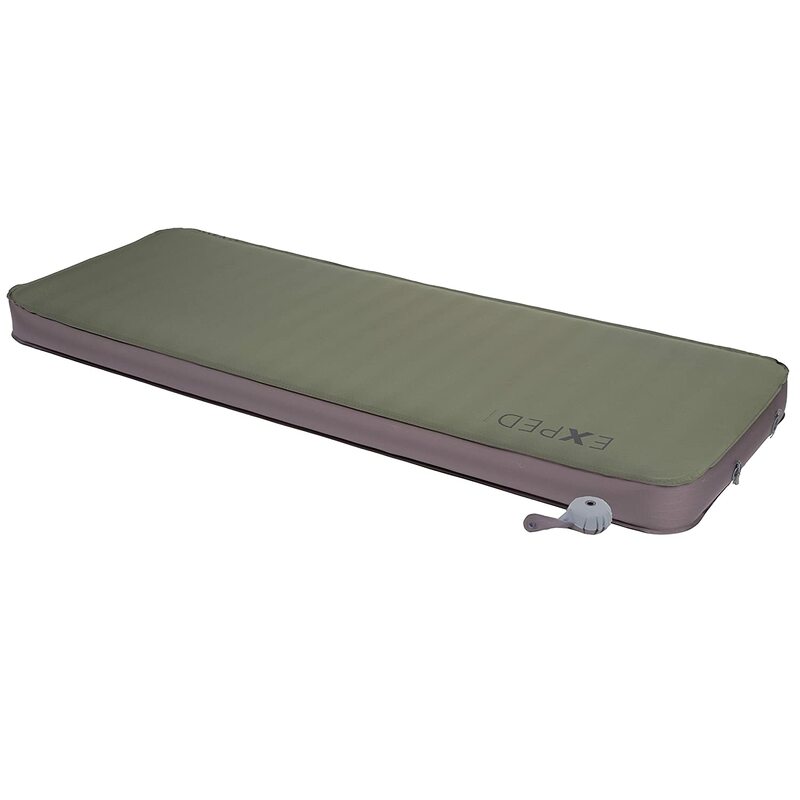 ALPS Mountaineering Velocity Air Bed is much popular among the campers. It falls under some of the only mattresses which contain polyester covered fabric rather than PVC. Polyester is very much beneficial as compared to PVC. Moreover, the Polyester fabric is 45% lighter and it can be shifted easily using backpacks. It offers good comfort and support and also prevents from stretching which occurs in the cheap mattress. It is also available in two different sizes, queen and twin. The bed consists of a compact rechargeable pump which works similar to a Universal adaptor and can be charged using any plug point. Moreover, it can inflate and deflate several times on one charge. You can charge this pump by two means, one is wall charger and other is car charger. The coil system present in the pump makes sure that you get a solid area for great sleep and air is also equally distributed in the mattress. This mattress is best suited for a highly-energetic tracker who is in search of a lightweight material and can be carried anywhere. Moreover, the package also consists of a carry bag that is needed for storage and transport of the mattress. If you are searching for quality and comfort at a reasonable price, then go for it. Lastly, it comes with a limited lifetime warranty in case of defects against workmanship and materials. Also, users can exchange it for a new one according to the terms and conditions. It falls under the classic edition of the best air mattress for camping. Despite it is a single height mattress, it provides great features. It consists of robust inbuilt electric pump for great inflation and deflation. The mattress takes just 2 and a half minutes to inflate. It is available in three different sizes, which include twin, full and queen. The mattress consists of an inbuilt pillow for great comfort and support. It also possesses a built-in pump, hence you don’t need to purchase an extra pump. The Airbed comes with a duffle bag for enough storage and transport. It is built in a way to provide waterproof flocked top with the vinyl beam for solid construction. Its height is 9 inches from the ground and has a pillow at 13 inches from the ground. This mattress is best suited for young children. Also, it is great for anyone looking for single height mattress with great features. 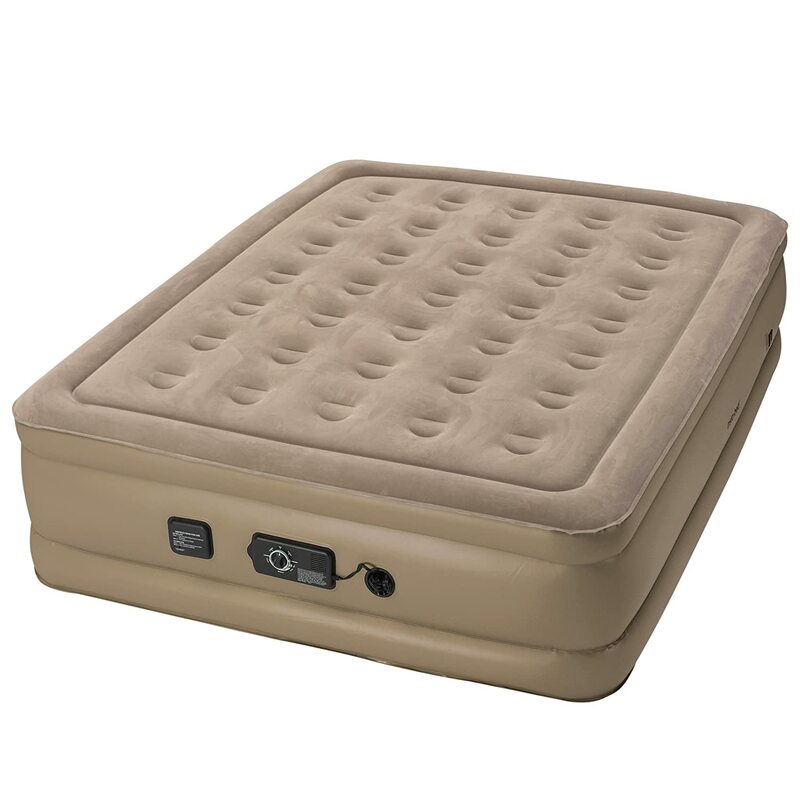 It is the best classic air mattress for camping. The mattress is built from Dreamcoil technology which provides enough support and solid surface for a comfortable sleep. After inflation, its height is 20 inches in queen size, which gives you feeling of sleeping on a real bed. This mattress is best suited for anyone who likes to sleep on a high-height mattress. It comes with a powerful rotary pump for quick inflation and deflation. It gets inflated in just 4 minutes, however, it requires an external power source. Hence, keep this thing in mind while selecting the best air mattress for camping. The main reason why it is one of the best-selling product in the market is due to the technology used under its surface to provide your undisturbed sleep during your trip. The mattress consists of honeycomb layering and 35 air-filled columns which help you to keep your spine straight. The mattress comes with a handy storage bag for better portability and also a puncture repair kit to deal with any issues on the trip. When you deflate it, its weight is just 20lbs, hence it is good for campers who are struggling to reach a particular destination. Lastly, you may find it difficult to carry for long distances along with other camping tools. Talking about best air mattress reviews and skipping the most amazing brand is not good. Insta-Bed is the top-rated air mattress available in the market. It consists of a never-flat pump, hence you have to never worry about waking on the ground. The pump works silently whole night keeping the mattress full. The primary pump instantly inflates and deflates the pump in just 4 minutes. The mattress is available in two sizes, Queen and Twin. There are total 35 circular coils on the Queen size and 21 circular coins on the Twin size mattress. These internal coils help to provide the best support and comfortable sleep. It consists of Turn Dial Comfort Settings. With this feature, you can choose the level of comfort with a turn of a wrist. It provides three settings which include plush, medium, and firm. From this, we can say that you have full control over the sleep on the mattress. Lastly, the package also consists of a travel bag to easily carry mattress anywhere you want. 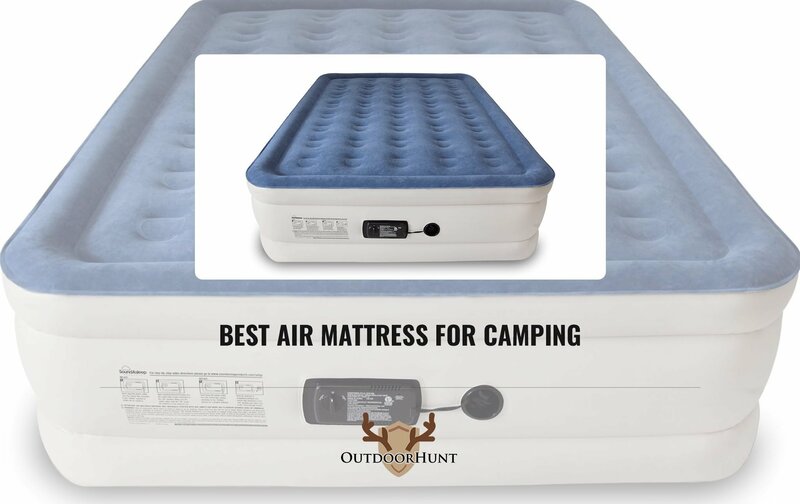 It is the best air mattress for camping available in the market. With more than 2900 reviews and 4.4 stars on Amazon, it outranks various other mattresses in the market. Their main purpose is to produce the best quality air mattress. It consists of flocking layer and inbuilt pillow for maximum support. It provides optimal spinal support due to its coil-beam construction. Moreover, it is also recommended by the International Chiropractors Association. If you are looking for a luxury mattress for your camping trip, then without any doubt, go for it. It is available in three sizes, which is Twin, Queen, and California King. The California King mattress provides the biggest size air mattress for sleeping. It also provides waterproof comfort quilt top for additional spinal support. Built-in pump is easy-to-use and enables quick inflation/ deflation. 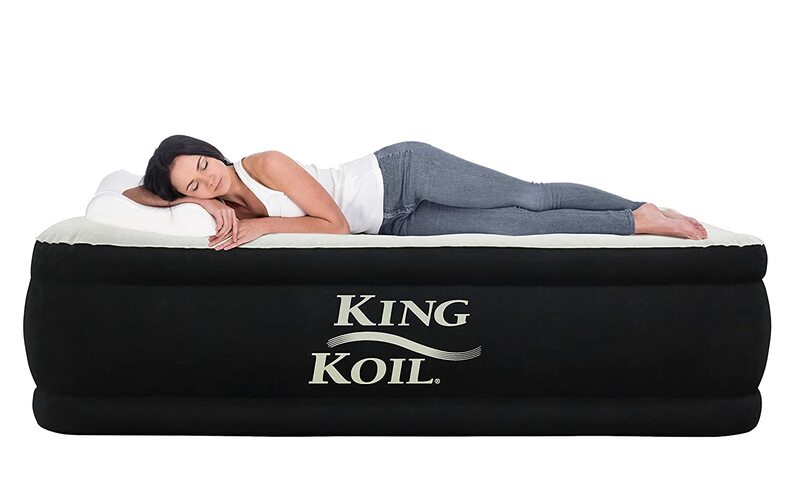 The king coil mattress inflates in just 4 minutes and ensures to remain silent as compared to other mattresses available in the market. Also, the mattress deflates within few minutes without any need to connect to electricity. The mattress can be carried easily from one place to another. The mattress is particularly designed for in-house use, and absolutely well for guest coming for an overnight stay. Also, it is best for camping trips. The package also provides a bag with all the instructions. This legit sleeping pad mat and pillow has great demand in the market. It consists of lots of amazing features which we will list below. It is built from Nylon fabric, hence you can use it day in and day out without any kind of trouble. The mattress is very lightweight and comfortable. Also, it is highly durable. It consists of air support cells which claim to provide great comfort. Hence, you can sleep in any position and wake up with full energy in the morning. It adjusts as per your body position to provided undisturbed sleep. It is very easy to inflate and deflate. Although it’s not self-inflating, you can inflate it with your mouth with just 10-15 breaths based on your capacity. After inflating the mattress, you will receive a great cozy surface to sleep. Also, there is no requirement of any pumps or motors for inflating and deflating. The mattress can be easily kept in your backpack as it has a size of your hand. Thus, you will be able to carry various essential camping tools for your trip. It is available at an affordable price and is highly durable. This mattress is best suited for anyone who is looking for a compact mattress for a comfortable sleep. The weight of this mattress is lowest with just weighing 1.2 pounds. You can deflate it easily by opening the valve. If you want to buy a long-lasting product and doesn’t have any limit of a budget, then go for Exped Comfort Megamat 10 LXW. After purchasing this mattress, you will fall in love with it. It is built using a 3D technology which claims to provide undisturbed good night sleep. It remains warm during camping, rafting or at basecamp. 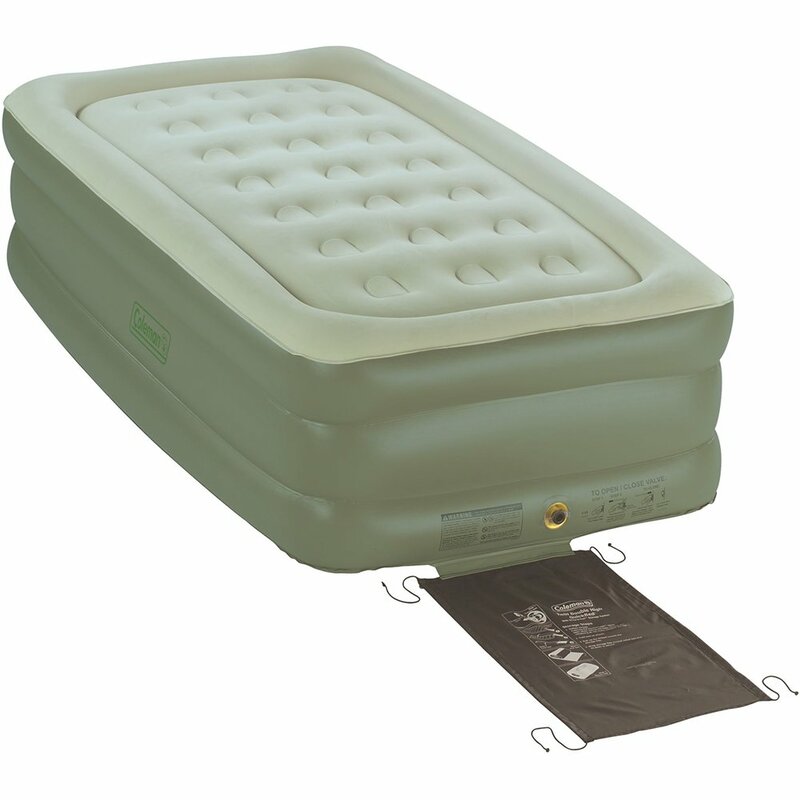 It is best air mattress for camping if you are willing to spend some extra bucks for quality. It is absolutely great to sleep on a mattress which offers equal support on both, center as well as edge. The material used for the production of the mattress is highly durable and is very soft for the skin. Moreover, it is prevents slipping and is absolutely safe even on the uneven surfaces. If you face any issues with the mattress, the package provides you with a repair kit, mini pump, and manuals to follow the instructions properly. The mini pump helps you to inflate mattress within a few minutes. It is also comfortable for any sleeping position also for side sleepers. The exped brand is much popular just because of the design of the valves. Here, mattress consists of two valves, one is for inflating and other is for deflating. Lastly, it is available with 5-Year Warranty. This mattress is highly recommended for anyone where weight is not a problem. The mattress is built from steel, hence you will have to insert some effort in order to carry from one place to another. It consists of an airtight system which resists from any kind of leakage. It features ComfortStrong coil construction in order to provide the best comfort and support. While sleeping on this bed, you will feel like sleeping on a domestic bed. Also, it can withstand a high weight of about 600 lbs. which is an additional plus point. As it is built from steel and also inflatable, it is highly durable. The pump is also highly durable and can be utilized for various other purposes as well. One thing you should keep in mind is that it is a battery pump, hence you have to purchase batteries separately. The mattress possesses a unique design which is suited for both, indoor and outdoor purpose. Additionally, the mattress consists of two tables on the side useful to keep personal items such as mobile, diary, lamp, etc. 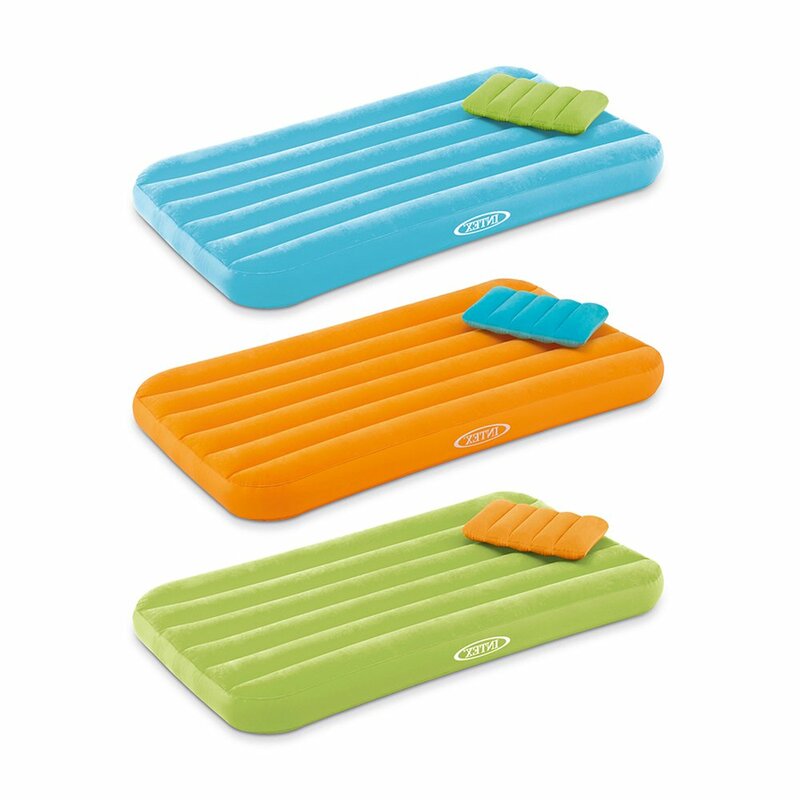 Airbed comes with a carry bag, hence you can fold it easily and carry anywhere. Many times you carry your kids at camping. So, this inflated airbed mattress from Intex ensures that children remain comfortable and happy. These mattresses possess a good height so that your kid gets a wonderful sleep and wakes up with full energy for the next day’s work. Its weight is just 4.21 lbs., hence it can be carried easily anywhere. It can withstand child’s weight up to 200 lbs. Also, it consists of an inflated pillow for good head and neck support. 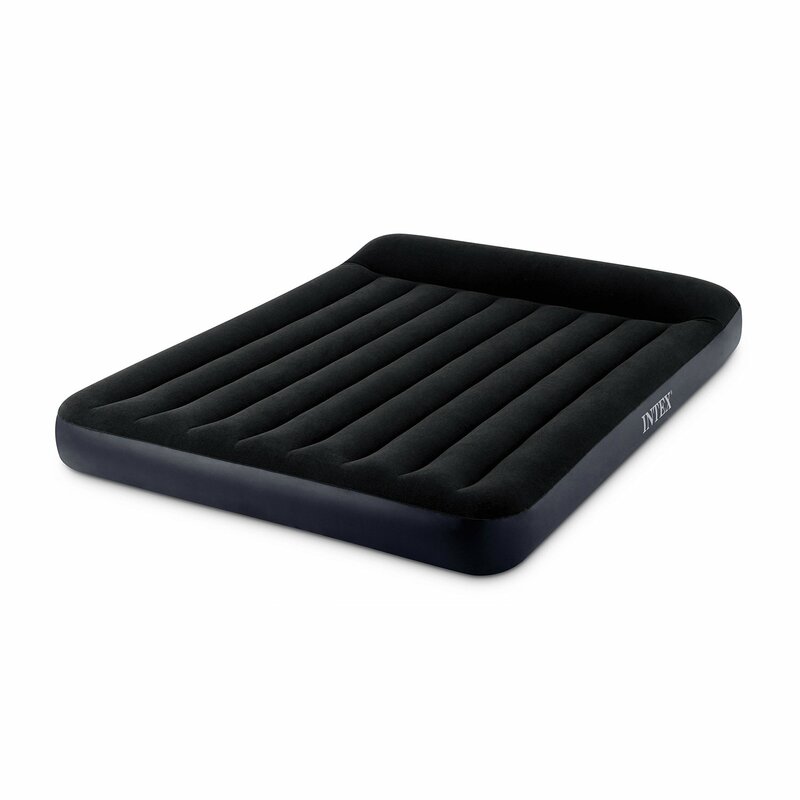 Many people are amazed by the durability of this Airbed. It is best for both inside and outside usage. Apart from this, some users have also used this as make-shift crib mattress while traveling. The mattress is best suited for camping and can also be used when your child’s friend is there for an overnight stay. The surface area is really soft in order to make sure that there is a gentle contact with the child’s skin. Also, it consists of a built-in-pillow, so you don’t have to carry pillow. Basically, it is a single-bed mattress with a size of 34x62x7 inches and it is available in different colors. 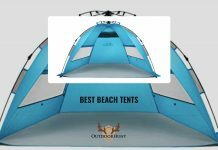 At the time of ranking the list of the best air mattress for camping, this is one of the most important things to consider. Here, we have checked whether it is soft, too hard or it is uncomfortable. You should also consider this point. This thing is considered when you are buying anything. Whether the product is able to survive for enough wear and tear. The mattress should be built from a strong material. The best way to improve the life of the mattress is to keep a mattress pad below it. This will protect you mattress from damage. Next thing you should keep in mind is that whether it includes a warranty. And if it includes warranty, what it provides. All brands have different warranty time. But, if there is less than 1-year warranty, then don’t buy that brand. Also, there is warranty for pumps, it doesn’t matter whether you have purchased separately or with the mattress. A good-quality mattress is that which supports your body fully by equally distributing the weight of the body without creating any lumps. This feature is somewhat difficult to find, and if you have found it then it will have a high-cost. This type of model consists of air coils in high number. The internal chamber is the main factor for comfort and there are total 30 of them. This is the most important factor to consider when you are looking for a double-bed mattress. Majority of the mattress consists of textured sleep surfaces in order to maintain health, provides resistances and also stops sleepers for sleeping off. A lot of covers are waterproof and antimicrobial which will be useful for sleeping outdoors. Standard Elevation: Air mattress which measures 10 inches or less. This type of mattresses is best suited for backpacking campers as they are light in weight and also takes less time to inflate. Raised Elevation: Mattresses which are thicker than 10 inches will fall in this category. 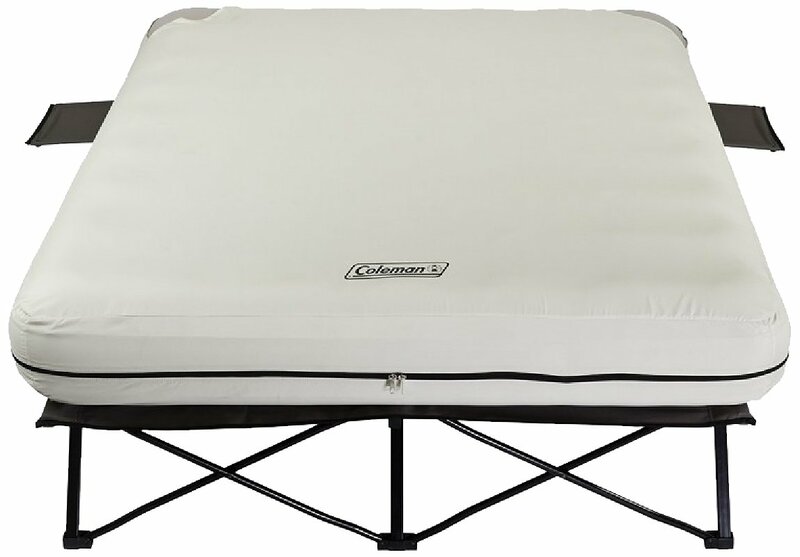 This is suited for backpackers who like to drag raised elevation mattresses on camping trips. These are heavier and take more time to inflate, hence they are best for car camping. Lastly, there are also models which consist of legs or fold-out cots for extra height. Also, remember that the height of a mattress is dependent on the inflation/ deflation level. 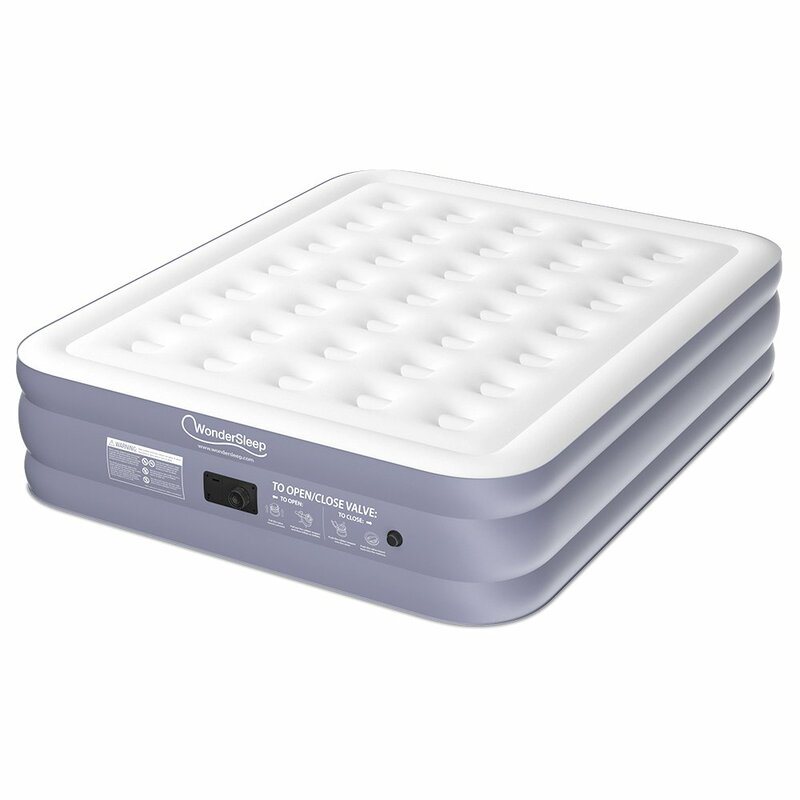 Air Mattresses are available in three different sizes which include Twin, Full and Queen. Majority of Air mattresses are available in two sizes, only a few of them are available in all three sizes. Apart from this, some of these are available in some unique sizes. As soon as it is deflated, the most standard elevation mattresses weight less than 10 pounds. While raised elevation models weigh is more, however, there weigh will not exceed 30 pounds. Weight is one of the most important factor to consider for backpackers as they have to carry a mattress on their back. Lastly, car campers never worry about the weight of the mattress. Standard inflatable mattress can withstand a load of minimum 300 pounds, and several models also withstand load up to 600 pounds. This mattress is suitable for single sleepers, however, some sleepers which weight more than 230 pounds might experience awkward collapse. If you are planning to buy a single sized mattress, then you can easily manage with a pump. But, a mattress with size greater than single bed will require a pump. This kind of mattress will require minimum half an hour to get fully inflated. But, if you possess a pump, then it will get inflated in just a minute and you don’t have to do anything in the process. But remember that a pump wants you to camp near the electricity source or you should camp with a vehicle nearby. Majority of pump consist of a car charger, hence you will not face any issue. The hardest part is, you should be able to inflate mattress up to the required level of firmness. But in most of the cases, this never occurs. During the night, the outside temperature is changing. Moreover, it differs greatly. Hence, the air in the mattress is spreading or diminishing based on the temperature. Due to this, mattress gets inflated more or it deflates itself. The best way to get rid of this problem is to buy a mattress with an inflation control system. The process involves you to measure the pressure inside the mattress and also maintain the required level. Hence, you will be able to get an undisturbed sleep. Lastly, you should also check in the mattress that the valves are closely sealed. This will help to stop air leaks and also reduce the temperature deflation. As Air mattresses are used in backpacking and camping regularly, most models sold today are built in a way to be easily folded, packed and stowed or attached to backpacks. Also, the majority of mattresses can be kept in the trunk or backseat of s normal vehicle. Also, the storage bag will be provided with a package or you have to purchase it separately. Some of the other things you should consider include weather resistance, no of colors available, ease of use and storage capabilities. Portability: Air mattresses can be easily folded and placed in a backpack or in a vehicle storage space. Thus, they can be easily used for camping trips. Temperature neutrality: Majority of air mattresses especially those with textured surfaces offer sufficient warmth for campers when used along with a sleeping bag or a blanket. Mattresses with Waterproof and antimicrobial surfaces offer more protection from other things also. Adjustable firmness: With the help of inflation and deflation process, users can normally modify the firmness till it reaches personal needs. Less smell complaints: As compared to normal mattresses which generate off-gassing, very low smell is being reported from air mattress owners avoiding fleeting, rubbery odor which disappear in a while. Low cost: Majority of air mattresses are available at price between $150-200. Moreover, there a lot of models which are available at $100 or less. Short Lifespan: Majority of air mattresses will not last for more than 2 years. If you use it sometimes only, then it may last for 3-4 years, but not more than that. This happens mainly due to malfunctioning air pumps, air leaks, punctures, etc. Noise: Air mattress produce a lot of noise when sleepers change position. Also, it makes more noise while pumping air or self-inflating. Low support for heavy sleepers: Various sleepers whose weight is more than 230 pounds report collapse and discomfort on the air mattress, needless of the listed weight capacity. This thing is common with lower-profile models. Less Warranty Period: Neglecting some of the models, most of the air mattress just come with 1-year warranty. Also, many mattresses don’t include any warranty at all. No-space for two persons: Despite most of the mattresses are designed to offer space for two persons, the mattress becomes heavy on one side based on which person’s weight is high. 1. How does an Air Mattress work? There are a wide number of mattresses which consist of different features and all the mattresses works on different principles. For example, a self-inflating mattress is operating with the help of a single valve or more than that. These valves are useful for the inflation and deflation process. As they are self-inflating, the air is mostly filled inside or thrown outside valve, so you can use it with ease. Self-inflating mattress works differently as compared to a pump which is used for inflation and deflation process. Most of the self-inflating bed comes with a pump or you have to purchase it separately. Also remember, you can’t inflate mattress without a pump. Most of the pumps run on power, so you need either batteries or an external power source. It doesn’t matter which power source you use, the pump can easily perform inflation and deflation process within a few minutes. Lastly, you may think that the pump is useful, however, it adds extra weight if you are walking on a campsite with tools. 2. What is R-Value of camping mattress? R-Value is the maximum capacity to which the mattress can be inflated. From this, it can be said that some mattresses are more inflated to offer a solid surface while others are less inflated, hence they offer a soft, less comfortable support. The higher the R-Value, the higher insulated/ thermal resistant a mattress is. Based on the climate where mattress can be utilized, your sleep will be disturbed due to the volatile temperature inside the mattress. Suppose, the ground is very cold or hot, a low R-value will not help you to survive in these situations. Here, R-value of 1 is good for summer, however, R-value of 5 or more is best for winter or cold. Lastly, a higher R-Value is always good for camping mattress. 3. Which things to look before buying an air mattress for camping? The most essential thing you should consider in a mattress is its R-Value. Then you should consider the size and height of the mattress and whether it is able to withstand the level of rigidity mentioned. Several mattresses consist of very high R-value along with non-stretchy materials however during the night their firmness changes. This happens due to the variation of temperature and it’s usual for the most mattress. Also, there are some which consist of stabilizer inside it which is useful to measure the stiffness of mattress. 4. If my mattress is self-inflating, you I add extra air? This is the thing which most of the campers don’t look after, hence they have to throw a very good mattress within a few months. Experts say you should not fill extra air in the mattress. When you blow air with your mouth, you insert bacteria and moisture in the mattress. This will result in moisture freezing, hence you will feel cool while sleeping in low temperatures. By doing this, mold will grow inside the mattress. Moreover, there is no way of getting mold out, hence you have to forcefully buy a new one or sleep on a smelly mattress. If you want to add more air, use a hand pump. This is easy and will save a lot of time and energy. Before buying a mattress, you should look after all the factors which we have mentioned above. After doing proper analysis, buy the mattress which is able to fulfill your demands. We hope that you liked our collection of 15+ Best Air Mattress for Camping or Best Air Mattress Reviews. Lastly, don’t forget to share this list with your friends and followers.